Discover a thrilling battle to overthrow the evil Empire, in this exciting LEGO® Star Wars™ reading book that will help children learn how to read - and learn to love reading. 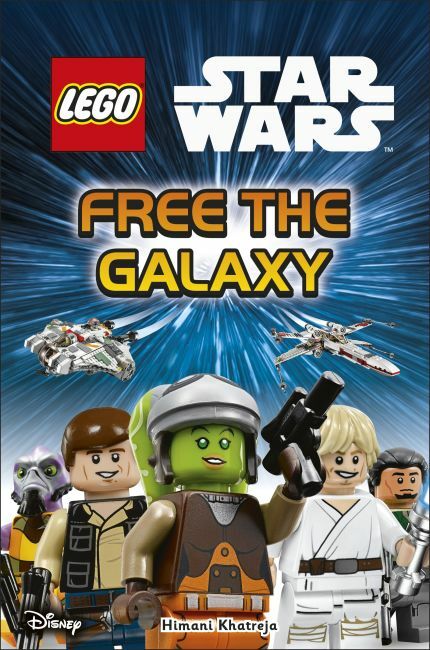 LEGO Star Wars Free the Galaxy showcases some of the best-loved LEGO Star Wars characters, such as Luke Skywalker, Han Solo and Princess Leia, as well as exciting LEGO Star Wars Rebels characters such as Ezra Bridger and Hera Syndulla. The story is supported with popular LEGO Star Wars sets and minifigures to engage children and encourage a love of reading. LEGO, the LEGO logo, the Brick and Knob configuration and the Minifigure are trademarks of the LEGO Group. © 2015 The LEGO Group. Produced by Dorling Kindersley under licence from the LEGO Group. © & ™ 2015 LUCASFILM LTD.